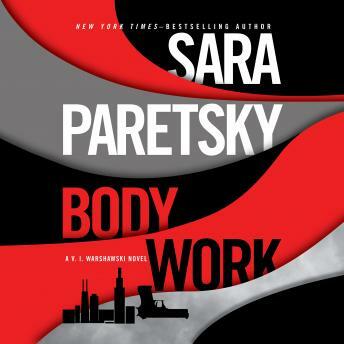 "The thing about Sara Paretsky is, she's tough-not because she observes the bone-breaker conventions of the private-eye genre but because she doesn't flinch from examining old social injustices others might find too shameful (and too painful) to dig up." - The New York Times Book Review "Doctors take days off - why not PIs?" V.I. Warshawski demands. But when America's hardest-working private eye goes clubbing, a stranger is shot and dies in her arms. V.I. has been visiting Club Gouge, Chicago's edgiest nightspot, where a woman known as the Body Artist turns her naked body into a canvas for the audience to paint on. The show attracts all kinds of people, from a menacing off-duty cop to Ukrainian mobsters and Iraq war vets - and V.I. 's impetuous cousin, Petra. A tormented young painter shows up, too, and the intricate designs she creates on the Body Artist drive one of the vets into a violent rage. When the painter is shot, the cops figure it's an easy collar - PTSD vet goes off the rails, stalks then kills young woman. But the vet's family hires V.I. to clear his name, and the detective uncovers a chain of ugly truths that stretches all the way from Iraq to Chicago's South Side.